Did you know that India has the second largest hatchery of dinosaur eggs in the world? A small town Balasinor in Gujarat is the home of the largest dinosaur fossils sites in the world. Here is a chance to visit in our own Jurassic Park and feel the era which we always seen the movies and pictures. Read this article about Indroda park timings, ticket prices and attraction. Visit Indroda dinosaur and fossil park to get familiar with the life of this fascinating species and other natural attraction. The Indroda Dinosaur and Fossil Park in Ahmedabad, Gujarat is considered the second largest hatchery of dinosaur eggs in the world and is the only dinosaur museum in India. The Park was set up by the Geological Survey of India and run by the Gujarat Ecological and Research Foundation (GEER). India's Jurassic Park is spread over an area of about 400 hectares on the bank of Sabarmati River in Gandhinagar. The western part of the river is famous as Indroda Nature Park and the eastern part is known as Wilderness Park. When you first enter the park you will be amazed to see the life-size models of this fascinating species. Large grey eggs about the size of musk melons, rough and chipped sticking out of the slab of rock will surely grab your attraction. The park is divided into three parts- Botanical garden with a large variety of medicinal herbs and plants, A zoo to see crocodiles, deer and some beautiful birds with an area dedicated to sea mammals that have a skeleton of an adult blue whale and the third one is dinosaur section which has fossils from Raiyoli a site in the Gujarati village about 90 minutes from Gandhinagar. Egg fossils found in Gujarat are the only known dinosaur excavation site in India which belong to the Cretaceous period ended 65 million years ago. 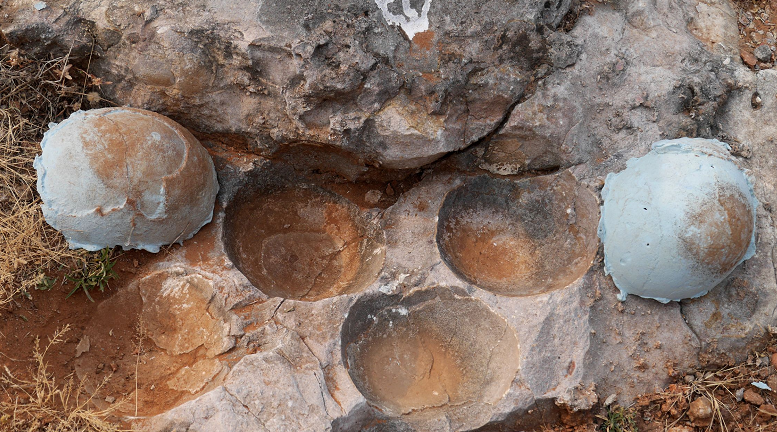 Dinosaur eggs fossils showcased in the park are of various sizes and weight. Open areas of fossil and dinosaur section of the park have life-sized fibreglass models of all the dinosaurs along with details of each period in which they existed and characteristics of the animals which are found in this region. 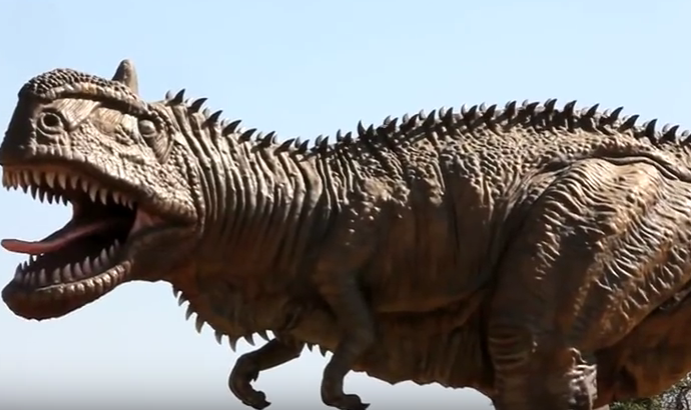 Tyrannosaurus Rex, Titanosaurus, Barapasaurus, Brachiosaurus are some of the dinosaurs that fossils you can see at Indroda Dinosaur and Fossil Park. In 2003 a new species discovered was given the name Rajasaurus Narmandensis meaning princely reptile from the Narmada as it has a conical bony projection on top which looks like a king crown. There are lots more to see here like bones, claws, dinosaur's tooth and spikes, thigh bones, eggs related to these big creatures. One can also visit Raiyoli village the excavation site located about 16 kilometres from Balasinor town believe that at least seven species of dinosaur lived here and researchers have uncovered fossils of about 10,000 dinosaur eggs, making Raiyoli the third largest hatchery in the world. Best time to visit the Indroda Dinosaur and Fossil Park is from October to March. The Indroda Nature Park is open for public from Tuesday to Sunday from 8 a.m. to 6 pm. Entry Fees of Indroda Nature Park is Rs. 20 for Adults and Rs. 10 for 5-12 years. Indroda Nature Park is must visit for everyone to get familiar with about our rich natural heritage.